April is National Heartworm Awareness month — are your pets up on their preventative treatments? The Companion Animal Parasite Council’s (CAPC) March report is out with a rather ominous top-10 list: the cities with the highest percentage increase in positive heartworm tests last month. Portland, Oregon made the top 10. This is important to note, as Portland had no native cases of heartworm prior to the introduction of irresponsible dog rescue operations that relocated dogs from distant states and countries to the Northwest. The idea that living in a “heartworm free” region of the country is all one needs to keep their pets free from this parasite, is alas, no longer a safe bet. Unfortunately, the current most common standard preventatives for heartworm are controlled poisons with known side-effects (especially ivermectin) and potential ecotoxicity issues, as well, but making sure your pet is protected is far better than the alternative. Are your pets up on theirs? “The lethal nature of Hill’s Specialty Dog Foods has been compounded by Hill’s excessive and unwarranted delay in warning consumers and regulatory agencies of the dangers posed by these products and caused untold numbers of pet owners significant emotional distress and financial loss,” noted the court filing, which detailed the cases of three bereaved dog owners. 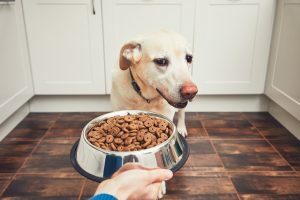 “As early as February of 2018, dog owners began to complain that Hill’s Specialty Dog Foods were causing their pets to display symptoms consistent with vitamin D poisoning, such as ‘daily diarrhea, excessive thirst and constant food begging,'” according to the suit. Hill’s is facing an additional, unrelated lawsuit over the issue of “fake pharmacy” prescription foods, as well. Production issues and legal actions against companies that make the food your pets eat is obviously something we should all be aware of. We will follow this story and post updates as they occur. It’s hard to find somebody who doesn’t love kittens, and the desire to help a defenseless stray is perfectly natural and noble — but as the following story illustrates, once you bring diseases into the equation, especially ones of the zoonotic (and fatal!) variety, it puts all of your animal and human friends at risk. The owner found the kitten in Edison on Nov. 12. The owner grew attached so quickly, that the feline accompanied its new master on errands throughout central New Jersey over the next 11 days. There were no signs the kitten was infected with the potentially deadly virus until Nov. 23, when it stopped eating and became fatigued. Paralysis in the back limbs set in the next day. During these 11 days, the kitten was taken to a career center, hospital, and Thanksgiving party, potentially exposing as many as 12 people to rabies. Thankfully, while rabies is a fatal disease, postexposure treatment is virtually 100% effective if administered promptly. 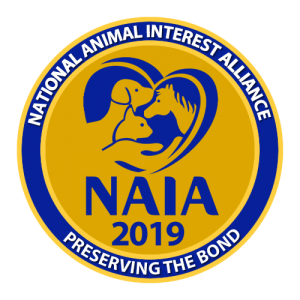 Stories like this highlight the reasons NAIA is so focused on proper medical care and vaccinations, transparency, and common sense when it comes to transporting companion animals — especially ones without a known background. A tick was found lodged behind Ollie’s ear, and Fate thought he may have picked it up on a recent camping trip. The parasite was discovered just in the nick of time by a veterinary intern. “He was in the room about to get put to sleep, and it was just pure grace that the people found something and decided to check it out further,” Fate explained. “They have a neurotoxin in their saliva that prevents nerve transition to the muscles, and that takes time to build up in the body and cause paralysis like what we saw in Ollie,” Stone said. In less than 10 hours after having the tick removed, Ollie the Collie was up and about — thank goodness. If there has ever been a more powerful reminder of the value of sharp eyes, of a willingness to run through all the possibilities, we’d certainly love to hear it! There is truth in this. Are you drawn to a specific breed because you have always loved that breed’s traits? Awesome! Does this mean you are hostile toward shelter dogs? It shouldn’t! Is your best friend a dog of unknown heritage that you bonded with while visiting the local shelter? Great! Does this mean you are hostile toward breeders and deliberately bred dogs? Again, it shouldn’t! And really, we think this may be the ultimate niche issue: there are so many people out there who own — and love — multiple dogs from different backgrounds and sources without feeling a need to beat themselves up over it. It is a shame that otherwise thoughtful dog lovers are wracked with guilt over a simple matter of choice. At the end of the day, as long as people are informed, behave ethically, and are able to put the interests of their dogs ahead of their egos, there are no bad choices. 3,000 Golden Retrievers and their owners are participating in a lifetime study for the Morris Animal Foundation, with the goal of finding out why (and eventually how to prevent) so many of them get cancer. The dogs will be checked on regularly, their owners tracking everywhere they go, everything they eat, taking samples, and dutifully sending in the data. This is the kind of thing we love to see! And what an inspiring undertaking! This research coupled with breeders sharing their own data can and will lead to great advances in both canine and human health. Despite golden retrievers’ high vulnerability to cancer, Anita Oberbauer, a geneticist at UC Davis, has found that purebreds as a whole are not less healthy than mixed breeds. Oberbauer’s team analyzed over 27,000 dogs through electronic records and compared the frequency of genetic diseases in mutts versus purebred pups. She found that mixed breeds suffered just as much as pure breeds from 13 disorders, including hip dysplasia and cancer. In a follow-up study, the researchers found that increased vulnerability to other diseases did not apply to all purebred dogs but only to certain subgroups. 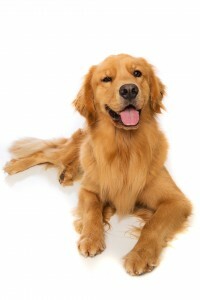 For example, the fact that golden retrievers are especially vulnerable to cancer does not mean all purebreds are. Because studies tend to focus on purebred dogs rather than mixed breeds, diseases in mutts get less play. “More than 637 dogs across the country were stolen in 2014 – a 4.5 percent increase from the year before, according to AKC’s national pet theft database. The number has drastically increased since the organization began recording the thefts in 2008, when 71 dogs were stolen. Stealing somebody’s pet is like breaking up a family. Of particular interest is the practice of “dog flipping” (stealing somebody’s dog then reselling the dog for a profit), an uncommon but growing crime that is a devastating experience for dogs and their owners. Kudos to Tom Sharp and the AKC for raising awareness of this issue. 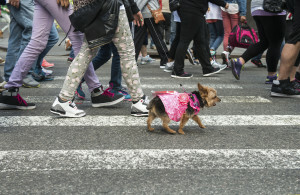 Is your canine an URBAN good citizen? Lifestyles and culture are always changing. 100 years ago, it was not uncommon for dogs to live outdoors most, if not all of their lives, and dog ownership was primarily for the very rural or the very wealthy. Today, those dogs are sleeping on their owner’s beds, and dogs being walked down a busy city street is a regular occurrence. What a great time for a program like the Urban Canine Good Citizen — and a great chance for dog owners to become ambassadors for responsible pet ownership! You don’t need to be interested in having a “title” for your dog, you don’t even need to live in a big city. Simply having a well-behaved dog that is not frightened or distracted by their environment, that can safely and confidently walk past both human and dog on a busy sidewalk is a big win for everybody. For your dog, for you, and for your entire community! There can be a lot of distractions and challenges for a little dog in a big city! 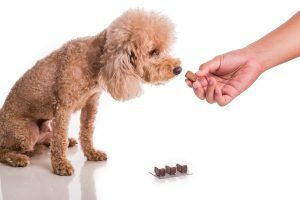 How Much Goes in to Teaching Our Pets? Reading into Ramirez’s quote, one could infer that a person is starving their pet by not training them. Does this sound severe to you? Perhaps, but when it comes to a pet’s mental and emotional well-being, by denying them knowledge and tools they can use to function properly with their human owners, it inevitably lowers their quality of life and weakens their bond with us. Of course a pet cannot live without air, food, water, and shelter, while they may survive to old age without any training, but who wants their pets to simply survive? Take failure to housebreak as one of the most basic of basic examples: it creates more work and health hazards in the home, while fostering resentment from the owner (even though housebreaking is their responsibility), and possible confusion and anxiety from the dog who senses the owner’s frustration. Would quality of life be higher and the human-animal bond stronger if a routine were in place, and the pet understood the very simple concept of where not to go? Of course it would, and this is but one of the lowest benchmarks in a pet’s training: just consider how many more aspects of our lives are improved by training, by teaching our pets how to properly navigate and cooperate in the homes we share with them? 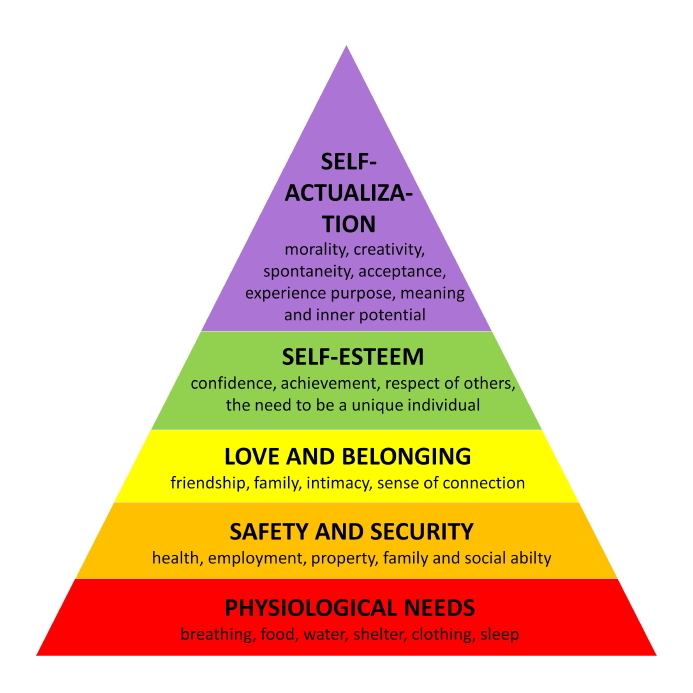 There are countless news pieces out there telling us the billions of dollars Americans spend on their pets’ food, toys, beds, even spas and masseuses, and it is great that people care so much! What is harder to track is how much pet owners invest in training. If you are reading this, you are probably an “animal person,” understand its importance, and consider it a high priority — but for pet owners as a whole, what do you think the average investment in time, effort, and dollars is? No, this is not a trick question. * NAIA Conference attendees may remember him from his informative and spirited presentation in Denver a few years ago.